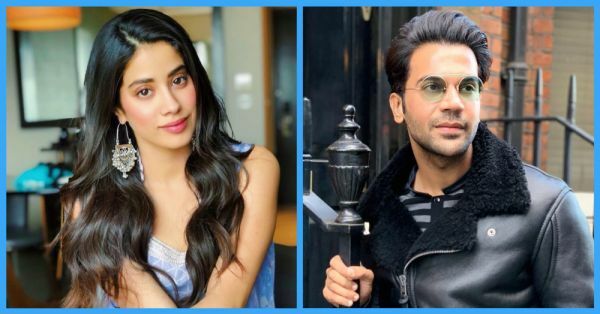 This Just In: Janhvi Kapoor To Play A Ghost In Her Next Movie Opposite Rajkummar Rao! After the success of Stree, it looks like Bollywood is ready to divulge into the genre of horror and comedy. And the flagbearer for it is none other than Rajkummar Rao. The actor is all set to star in yet another horror comedy and this time it is opposite Janhvi Kapoor. The young star-kid who became a household name after her debut film, Dhadak announced her third film on Instagram. 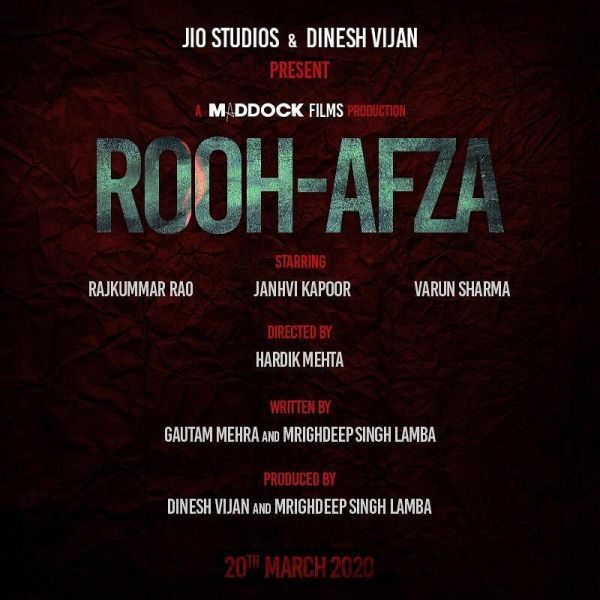 From the producer of Stree, comes yet another female-centric film titled, Rooh-Afza in which Janhvi Kapoor will be seen playing the role of Roohi and Afsana. Producer Dinesh Vijan shared with PTI that Janhvi was the obvious choice for the film. "For the female lead, we needed someone who could portray two contrasting personalities with ease and Janhvi stood out, she really connected with the script. Her talent is still raw, but she is excited about being moulded. The script is young, refreshing and totally crazy, and she is exactly that," he said. Co-producer Mrighdeep Singh Lamba also added, “She needed to oscillate between two characters which are poles apart. You will fall in love with her in one scene and won't believe she is the same girl in the next one. It's not an easy switch for an actor. It's the perfect casting." While Roof-Afza is all set to release in March 2020, Janhvi will next be seen in Karan Johar's Takht with Ranveer Singh, Kareena Kapoor Khan, Alia Bhatt, Vicky Kaushal, Bhumi Pednekar and Anil Kapoor in prominent roles.